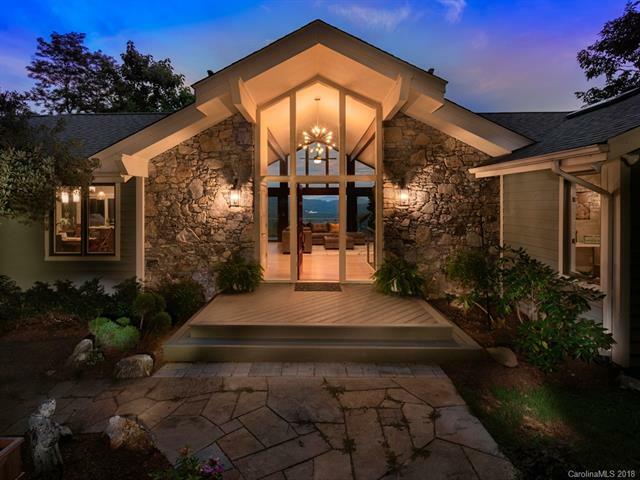 Stunning contemporary North Asheville home with breathtaking panoramic vista. South facing floor to ceiling windows bathe the home in light, capturing views of downtown Asheville, Grove Park, Mt Pisgah, Beaver Lake, golf course, and mountain ranges. Open floorplan flows to include outside living with expansive deck off living area, kitchen, and master. Perfect for entertaining or simply enjoying peace and quiet. Completely updated with exquisite details and finishes inside and out - this home is a rare find. County taxes with city schools too!